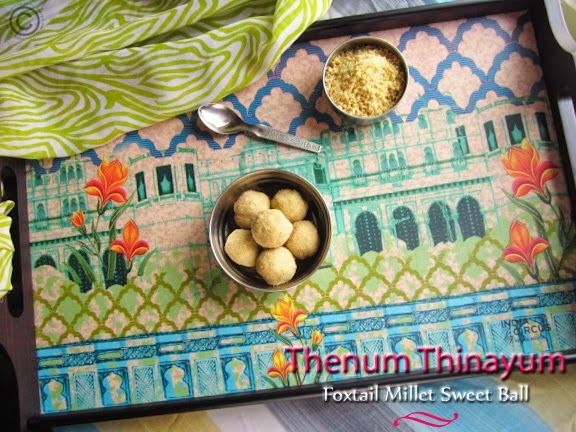 VIRUNTHU UNNA VAANGA: THENUM THINAIYUM I FOXTAIL MILLET HONEY SWEET BALLS I MILLET LADOO I PALANI PRASADHAM - VIRTUAL TREAT FOR SANGEE!!! 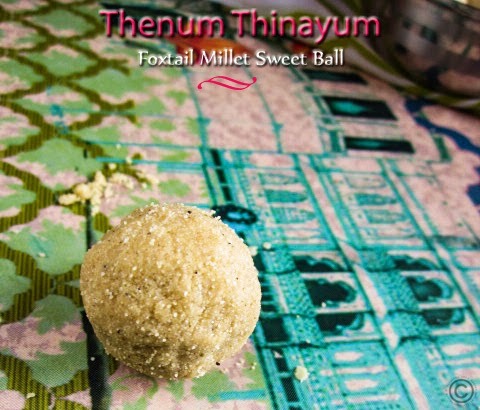 THENUM THINAIYUM I FOXTAIL MILLET HONEY SWEET BALLS I MILLET LADOO I PALANI PRASADHAM - VIRTUAL TREAT FOR SANGEE!!! On your birthday and every day!!! 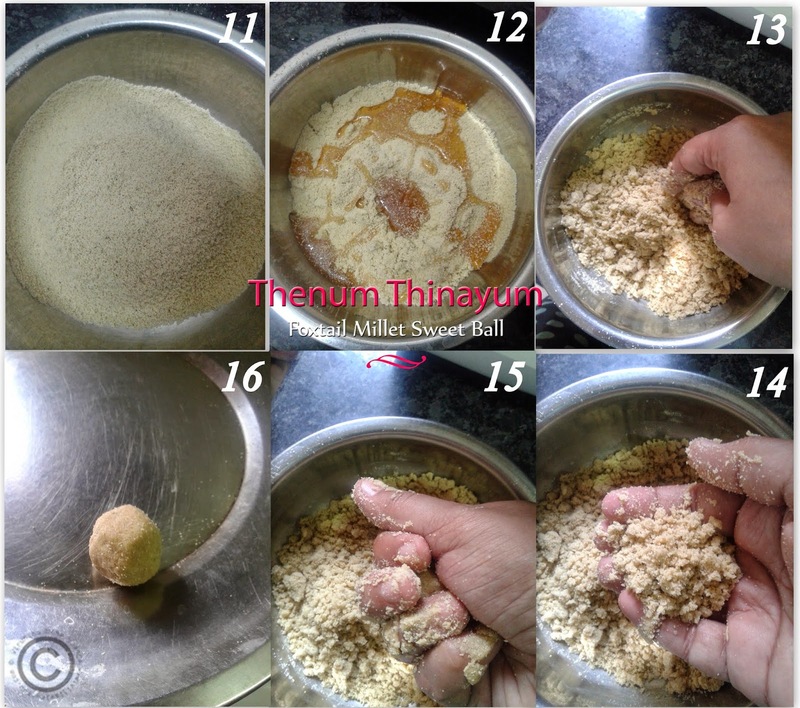 I prepared the special ladoo or powder, its very divine food and offer the powder as prasadham in Palani Murugan Temple. 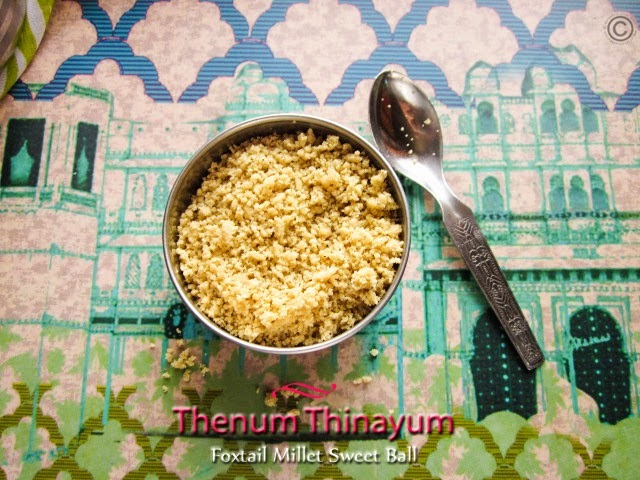 The name is called as Thenum Thinaiyum (Honey and Foxtail Millet). 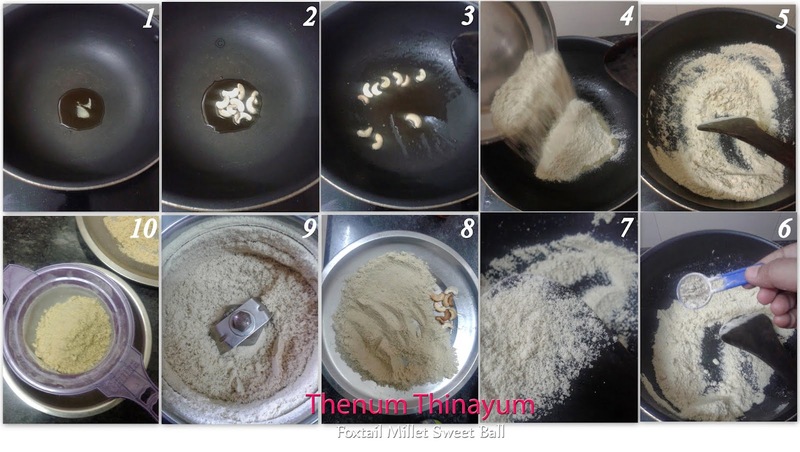 My most favorite prasadham in palani, I love the Then Thinai maavu much than Panchamirtham. 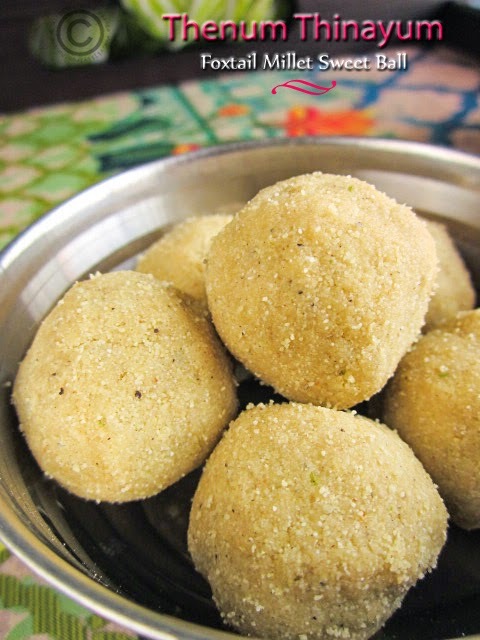 Sangee aks too love the millets much as healthy and tasty and moreover, nowadays millets are keep occupying our pantry instead of white rice or flours. 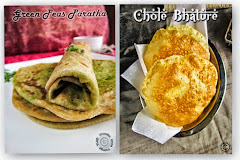 I am happy that millets are coming back to our menu. 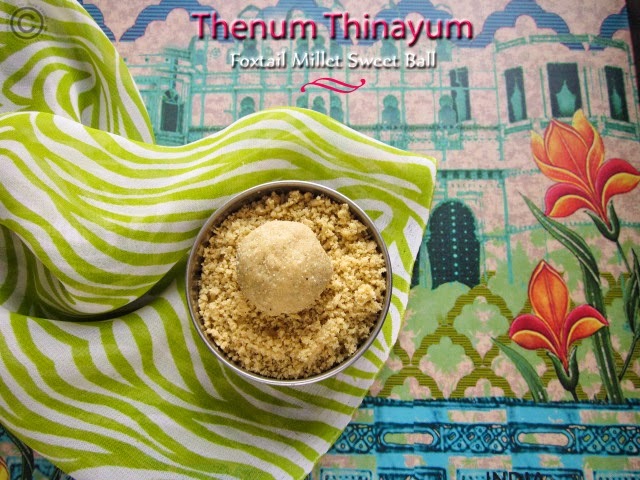 I must knew, she loves the millet, so I have prepared the yummy ladoo or powder for her virtual treat. 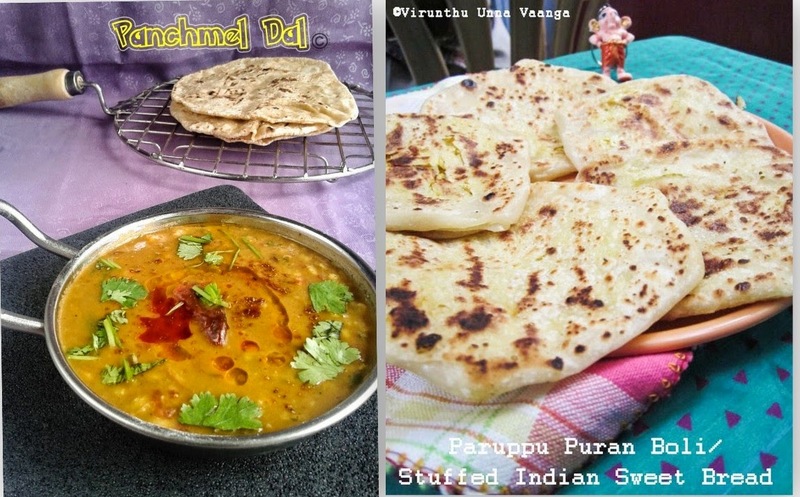 Heat ghee in pan; add cashew nuts and roast it till golden brown and keep it aside. 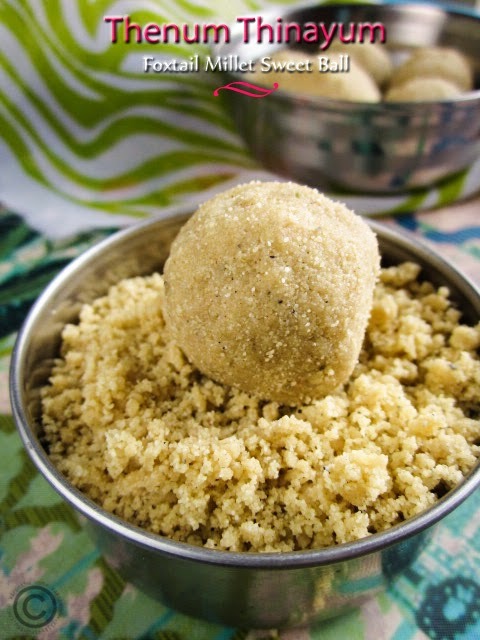 In the same pan, add millet flour and roast it till the aroma comes and transfer into the plate and cool it for 5-10 minutes. Sieve into the plate and cool it completely. Now add the honey and mix it and make balls out of it. 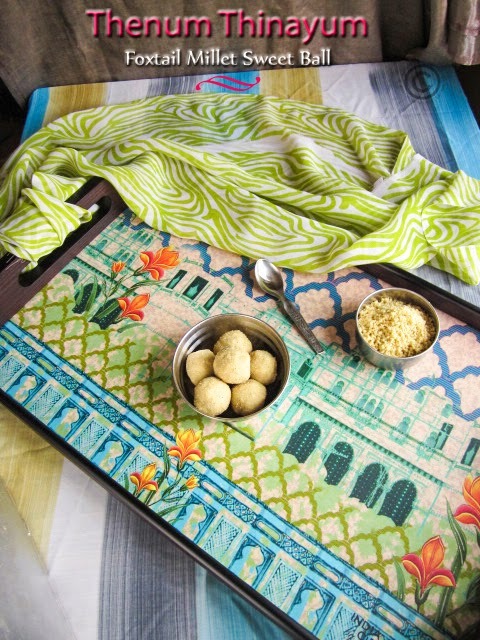 Serve it as ladoo or powder as I shown in the picture. You can replace the honey with powder white sugar, but honey is traditional. Powder the nuts is optional, you can add it as it is. Do not add honey when the flour is hot or warm, it will get chewy. You can store it in room temperature for 4-5 days. 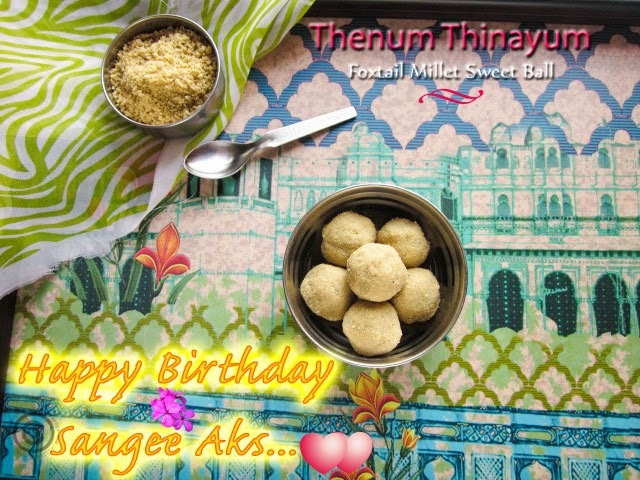 WISH YOU AGAIN HAPPY BIRTHDAY AND GREAT WISHES FOR ALL YOUR ENDEAVORS!!! This is really mouth watering. I am going to give it a try for sure... Thank you so much for sharing this..